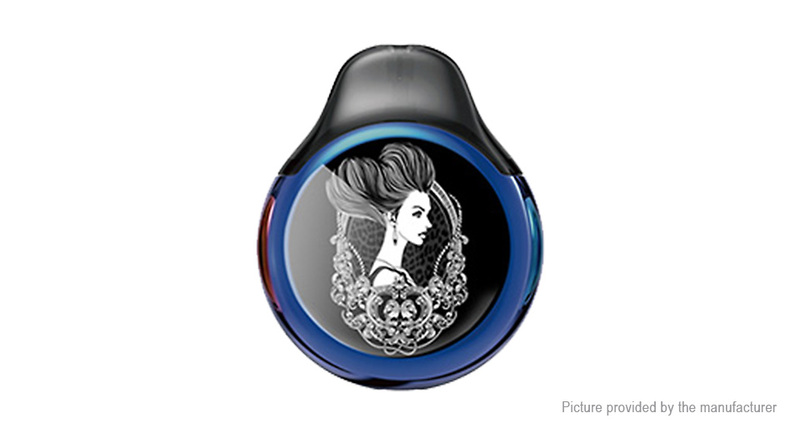 The Starss Icon Pod Starter Kit is so elegant that nobody will refuse it! It works with 380mAh built-in battery. The 2.0ml juice capacity and 1.7ohm coil resistance make it a simple device for easy vape. The Starss Icon is the first carbon fiber pod kit too. The round pod design of Icon brings comfortable hand feeling. Plug out the pod then you are capable of refilling the cartridge at the bottom. The Icon is an air-activated kit, so it&apos;s button-free. Air-driven system: air-driven pods allows easy and convenient start, when the air comes in, Starss Icon starts automatically, produce massive cloud, which gives you feeling as pure as original, Find more fun with Starss Icon through every single puff. Support by 380mAh battery with high quality: Starss Icon can be charged via lateral micro-usb port easily and allows you to vapor freely, there is battery safety management system, the battery life will be longer than other pod model in the market. How to fill the liquid: do not inhale immediately after full filling the pod, and let the whole kit stand for 5 minutes to get its organic cotton completely saturated.